Customize Molds soft products ,OEM/ODM Custom injection plastic moulding product for gasmeter .Our factory has made various high precision plastic injection moulding for Residential gasmeter,Commercial gasmeters and Industrial gasmeters, as per customer's drawing or sample. We established in 1996 in this Injection Mould field.We are professional OEM/ODM of plastic tooling and injection molding,secondary process and product assembly in China.Topwell has developed and manufactured a wide range of tools and plastic products for home products,Automotive, Telecommunications, OA, Medical and Electronic industry. Our main products include Air Purifier,Water purifier, Sweeping Robot, Automotive parts, GPS, Smart bluetooth Speaker, Telephones, Printers, Glucometer, Massage machine, Stereo, POS Terminal, Router and so on. Topwell is proud of being an innovative company in mold design and efficient manufacturing processes. 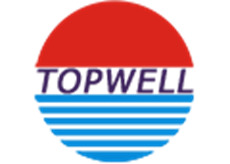 We are committed to long term development and looking forwards to establishing a strong business partnership with your company.The management team at Topwell welcome you to here and looks forwards to working with your company for many year. Looking for ideal Children Bicycle Accessories Mold Manufacturer & supplier ? We have a wide selection at great prices to help you get creative. All the Bicycle Plastic Mold are quality guaranteed. We are China Origin Factory of Children Bicycle Accessories Mold. If you have any question, please feel free to contact us.